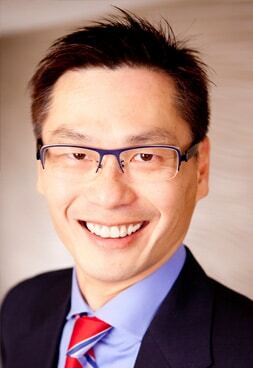 Head Pain Blog Archives from BC Head Pain Institute. A buildup of wax can cause tinnitus symptoms. Removing the excess wax may alleviate the pressure that is making the ringing or hissing sensation happen. Your ears will breathe easier and so will you, without that annoying ringing. Tinnitus can accompany a migraine, or present in the migraine’s recovery phase. Reducing migraine triggers can reduce the frequency of tinnitus. There are pharmaceutical options that can cut down on the frequency of migraines, as well as to alleviate pain. If you are exposed to loud noises, whether it by your occupation or recreational environment, you might experience some tinnitus after exposure. It is important to use proper ear protection wherever possible, to reduce damage to your hearing and make it less likely that tinnitus will occur. 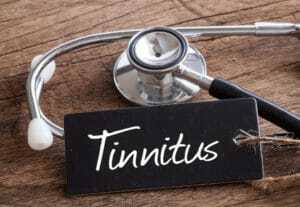 Tinnitus can be a side effect of existing drugs you are taking to treat other conditions. Check the listing of possible side effects to see if your normal regimen is impacting your ears and giving you that ringing noise. If you have an infection, tinnitus may also be present. Make sure to complete your antibiotics to get rid of the bacteria causing your condition. Antibiotic drops might also be helpful to alleviate discomfort. A common condition called TMJ (temporomandibular joint syndrome) can also cause tinnitus. There are a variety of surgical and non-surgical options to treat TMJ, which may reduce the amount of tinnitus you are experiencing. Tinnitus is not “all in your head” and the ringing can be decreased or eliminated with medical intervention by your dentist, orthodontist or doctor. Although sometimes Tinnitus goes away all on its own, a specialist at BC Head Pain is there to help you when it doesn’t. Welcome to the BC Head Pain Institute Blog. I’m Dr. C. Lun Wang and I’d like to tell you how the Institute all come into being. Whenever you see dentists portrayed in movies or on television, you will see the dentist holding a drill or a big needle full of Novocain. It is a given that dentists deal with pain and head pain every day and must learn ways to control them effectively. The first time I used a needle on a real person was during the beginning of our clinical term in third-year dental school. All of the third-year dental students gathered in the main clinic—you could see the tension in everyone’s eyes and even in some people’s hands as we prepared to perform our very first injection, using each other as guinea pigs. The idea was to pair up, and we would try to do a nerve-block on each other. We had learned all the anatomy and physiology and pharmacology about this procedure, but now we had to actually do it. 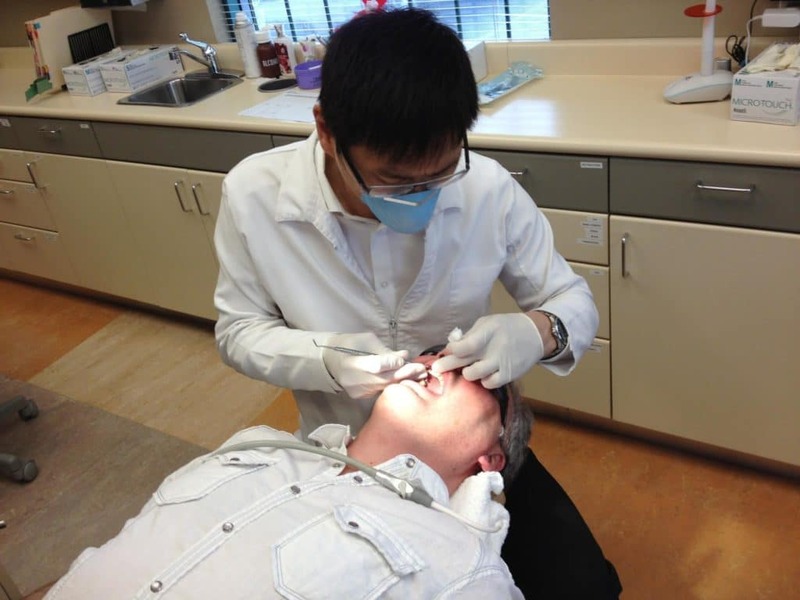 It was a relatively easy procedure that, as practicing dentists, we would do every day. On that day, I injected my partner with Lidocaine, which is supposed to freeze the nerve in question for about 2 hours. Well, I hit the jackpot that day—I actually nicked the major nerve to the lower jaw with my needle, which is rarely done, and when that happens, the freezing can be very profound. In this case, the freezing lasted around 8 hours! Over the next two years, we learned all about drilling and filling and other fun dental stuff. But most of all, we learned about pain control in the head and neck areas, which is crucial before, during and after most procedures. There is another type of pain that we deal with on a daily basis that is persistent: chronic pain. According to the World Health Organization, 1 in 20 people in the developed world suffer with a daily tension headache. 150 million workdays are lost annually to headaches. Over 12% of North Americans suffer from migraine every year. Has chronic head pain reached epidemic proportions? With all our advances in modern medicine, why have we not found a cure for headaches? Yes, there are all kinds of treatments for headaches, and millions of patients benefit from it; however, there is a large group of chronic head-pain patients who have eluded all conventional medical treatments. Chronic headaches and migraines are typically treated by physicians, which is the right place to start in most cases. However, over 80% of pain conditions in the head and neck areas actually involve the oral cavity and the jaw. Injuries resulting from improper force on the muscles, joints and other soft tissues in the oral cavity and in the head and neck areas contribute to a large percentage of chronic headaches and migraines. These patients with a complex set of symptoms including tinnitus, vertigo, and others, collectively describe a condition called Dentomandibular Sensorimotor Dysfunction (DMSD). Until recently, there has not been a way to properly and systematically assess this condition, leading to partial or ineffective treatment. The breakthrough came with the realization that we must incorporate the expertise of advanced dentistry and medical rehabilitation techniques in order to address the needs of this type of head pain. A combination of technologically advanced assessment tools from both medicine and dentistry is used to pinpoint areas of injury. Dentists, with their basic medical training and extensive knowledge in the head and neck areas, are the best choice to carry out these assessments and procedures. With this blog series, I will talk about the hidden secrets that have kept so many chronic head-pain patients from finding effective, lasting relief from their pain. We will examine why they have tried every type of treatment out there and are still suffering. We will discuss the frequent causes of chronic pain in the head and neck areas, and all the symptoms associated with these disorders. Best of all, we will talk about effective treatment for chronic headache sufferers. I will explain why these cases have slipped through the cracks of our medical system, and why dentists hold the key for solving them. Since 1 in 5 people in the general public will have suffered one or more of these pain conditions in the past year, the assessment and treatment we talk about here will be essential to you or someone you know. I look ofrward to you join us on out journey of helping hundreds of people, maybe just like you journey on the path to zero head pain. I know it’s hard to believe, but it’s true, I am the author of a migraine book! This is my first book, and I chose to write about a topic that was new to me only 4 years ago. It is on migraines and headaches. 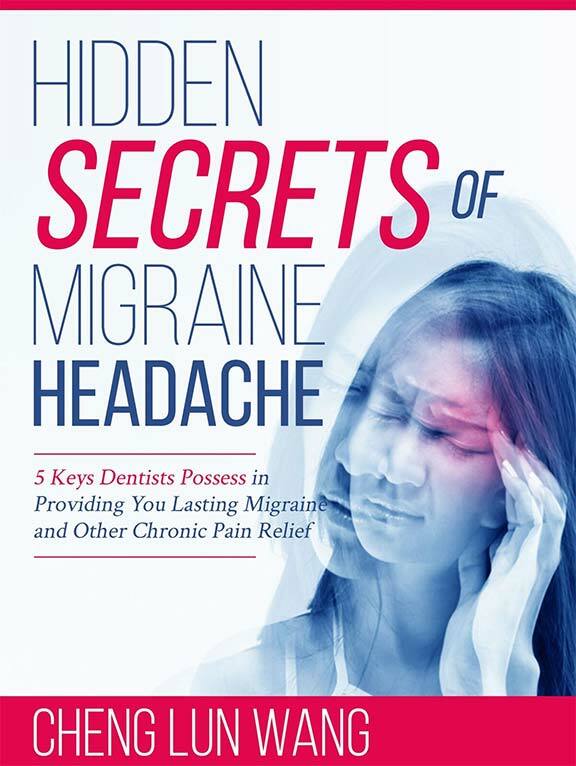 You are wondering why a dentist would be qualified to write a book on headaches and migraines? Well, that is a very interesting question, one that I would not even have thought to ask myself just a few years ago. But life has many twists and turns, and some we would never expect or could ever anticipate! This is part of my professional journey, one that is born out of this fantastic dental profession, the breadth of which I am starting to appreciate. My, how interesting life can be. I have always treated patients with various types of dental ailments, and occasionally face and jaw pain. However, there is a small group of head pain patients that also experience chronic headaches, migraines, tinnitus and vertigo. I was not able to help them, and neither has the medical profession. They suffer for months, and some even for years and decades! One day, one of my own orthodontic patients, K., came to see me. He had braces years ago, and finished with a beautiful set of teeth. That day when I saw him again, his bite was completely off, and he was suffering from chronic headaches daily. It was so bad that he could not study or work for many months. He tried conventional medical therapies and drugs, none of which worked, and the side effects made him worse! He settled on living in the basement of his home, where it is dark and quiet, and using a daily dose of medicinal marijuana to keep the pain in check. I was intrigued by it, but never thought it was something within my realm of treatment. That is until one day I came upon a system that describes and treats this precise set of symptoms. I did further research into this, and found that dentists hold the key to solving these problems! I applied this new method to K. and in a few short weeks, he was getting better! This is how I came to start my new clinic, the BC Head Pain Institute, to help these pain patients that have lost hope. This is also why I have written this book, to get the message out there, that no one needs to go through months of chronic pain before finding relief. For a full account of my discoveries, join my launch team and learn how this can help you or your love ones, and help me get the word out to all those sufferers!